Happy Monday friends! I hope everyone enjoyed their weekend! I'm definitely not ready to be back at work, or back in florida for that matter. I got to enjoy a nice long weekend with my parents out at their place in New Mexico so I was a bit sad to leave to go back to work. This post is going to be short since I'm traveling right now but I'll post some of my pictures taken with my big girl camera later this week. For now, linking up with Biana for our weekend recap! 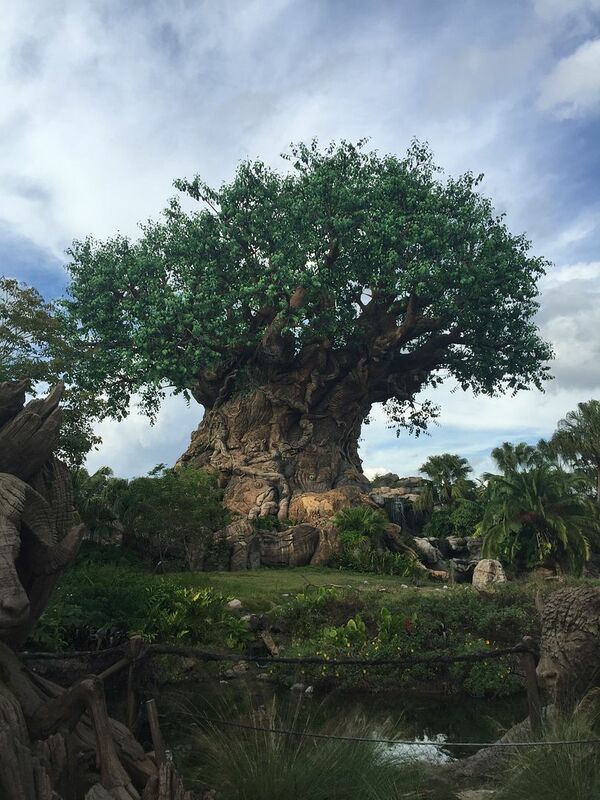 I took off Wednesday because I was originally going to head out to Albuquerque then, but flights didn't work my way so instead I ran some errands and then headed over to Disney's Animal Kingdom for some animals and fun. After Animal Kingdom we headed over to Hollywood Studios for the Osborne Family Spectacle of Lights. I ended up getting food poisoning and was up almost all night just in time for my 6 am flight Thursday. Luckily I made it out there with no problems other than my suitcase breaking. Once I got to Albuquerque my mom picked me up and we headed to my parents house to surprise my dad who had no clue I was coming. It was great to get to surprise him, I don't think I'll ever forget the look on his face! Friday we headed up to Santa Fe where my parents go skiing every year. Yup, my parents are avid skiers! I have to admit they're pretty cool. It was the first time I had seen snow in about 10 years so I was pretty excited. 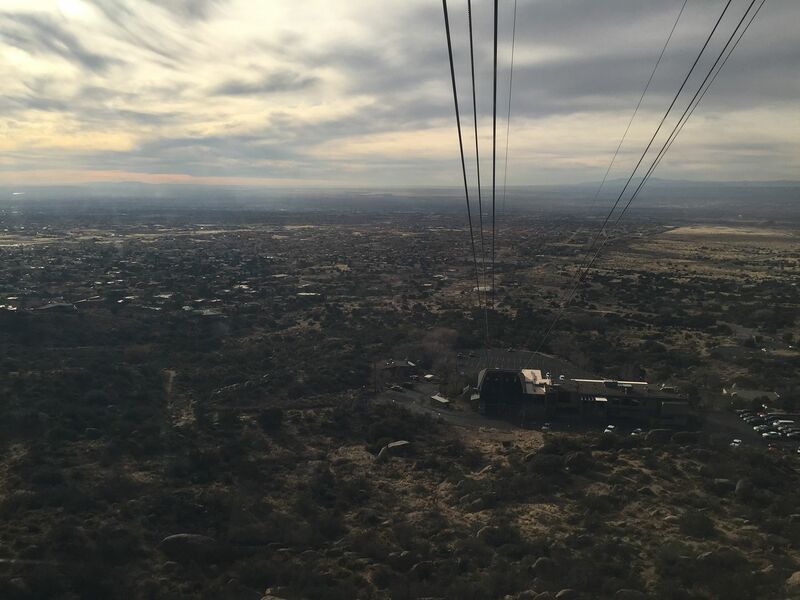 After Santa Fe we headed back to Albuquerque and took the tram to the top of Sandia mountain which had gorgeous views but was downright frigid out! Before heading back down we stopped for some coffee with Bailey's and Frangelico to warm up. 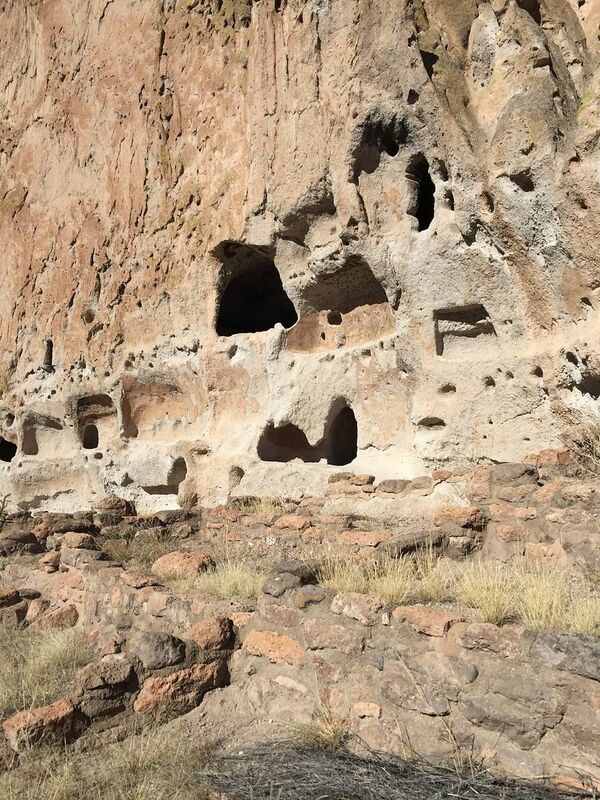 Saturday we headed up to Bandelier which is a high national forest area with ancient cave dwellings. It was really fun getting to explore that area and see how people lived back then. Not to mention the canyon was gorgeous. 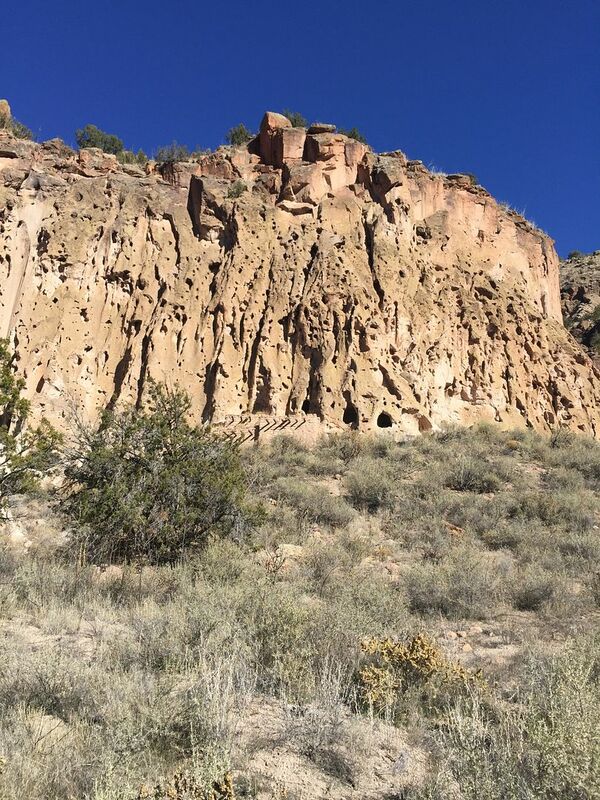 After that we drove through a creepy little town called Los Alamos before heading to a place called Tent Rocks which was only 13 miles away technically but you had to drive 74 miles around to get to it. I felt awful because we had no clue it was that far away and I got kinda upset when I didn't think we'd make it but my dad is amazing and got us there with just enough time to explore a bit before the park closed. Sunday I headed back bright and early, not quite ready to leave beautiful New Mexico but I know I will definitely be back! Sooner rather than later! Hope everyone has a fabulous week! That looks like a really fun weekend! I love the Christmas scene. New Mexico is so pretty this time of year with the snow. Have a great week! Wow, looks like SUCH a fabulous trip, minus all the debacles to get there. Sorry you had food poisoning, glad you were able to make the early flight after, yikes! The snow is so pretty and so cool your parents ski, I LOVE to ski and would never have thought to head out that way. You look amazing as always. Hope Monday is kind to you today! All weekend it looked like you were having a great time and so many beautiful places to see and photograph! So glad that you got in some extra family time--it's the best! Food poisoning right before a flight would be terrible, hopefully you were able to sleep on the plane. The scenery is fabulous, it's been a few years since I've seen snow, so that's always fun especially not driving to work in it, lol. Whatever shakey thing you're drinking, with Baileys? OMG looks delicious!! You look gorgeous in these photos! Love that lip color. So glad you had a blast! Your snaps were giving me life this weekend! I so want to go on a cold weather vacation soon, Tripp and I have never been skiing/snowboarding/anything. Plus your outfits were on POINT! What a fun weekend (aside from the food poisoning--the worst)! I love your big sweater with the fur collar! 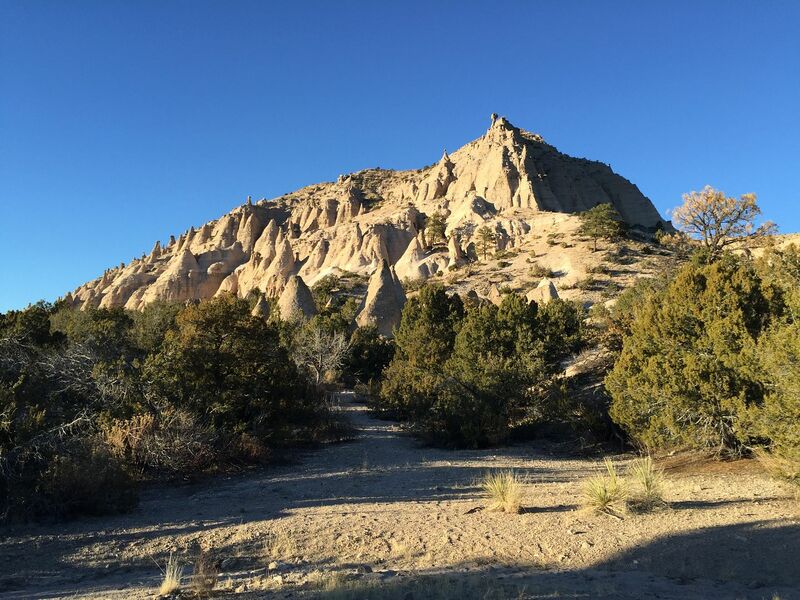 New Mexico looks so gorgeous--I wouldn't want to leave either! Surprising people with a visit is one of my favorite things to do! Glad that you had a good weekend visiting with your parents! How fun to surprise your dad! I can imagine his surprised face when he saw you!!!! How cool that your parents skii! I can't even balance in he snow on my feet hahha.. Happy Monday! Hope you have a nice day back! Looks like such a fun weekend! I'm sorry about the food poisoning, that sounds aweful! I can't believe its been that long since you've seen snow, those views look absolutely amazing! Looks like you had a great time! 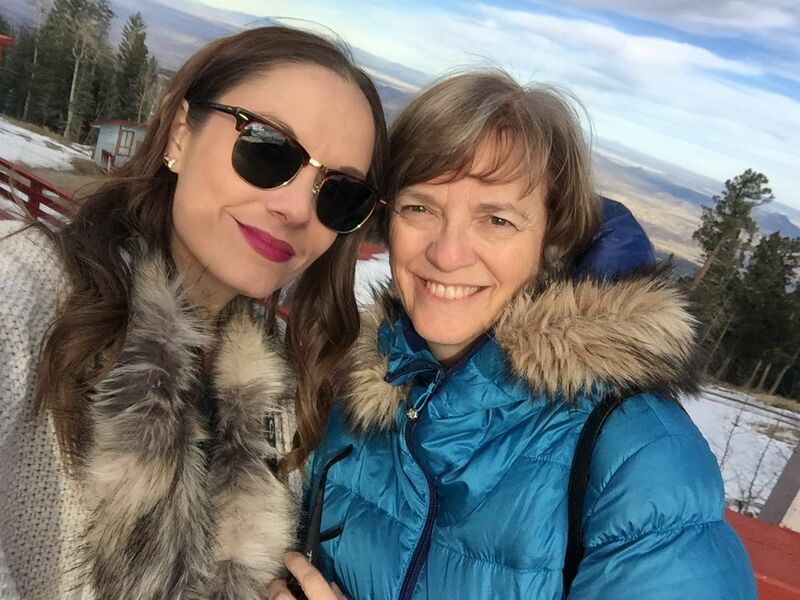 Zack and I both love to ski so we go out west at least once every season - that picture has got me wanting to hit the slopes! I've always wanted to go to New Mexico!! Looks so pretty!! I am sorry you had a rough start getting there (stomach bugs are THE WORST EVER!) but glad you had a great time once you got there. I have loved seeing all your pictures on instagram! I've never been out west so the scenery is so amazing to me! I also love that you were able to surprise your dad- I'm sure that was such a special moment. Loving your outfit and you should really do a post on your makeup- it looks soo gorgeous! 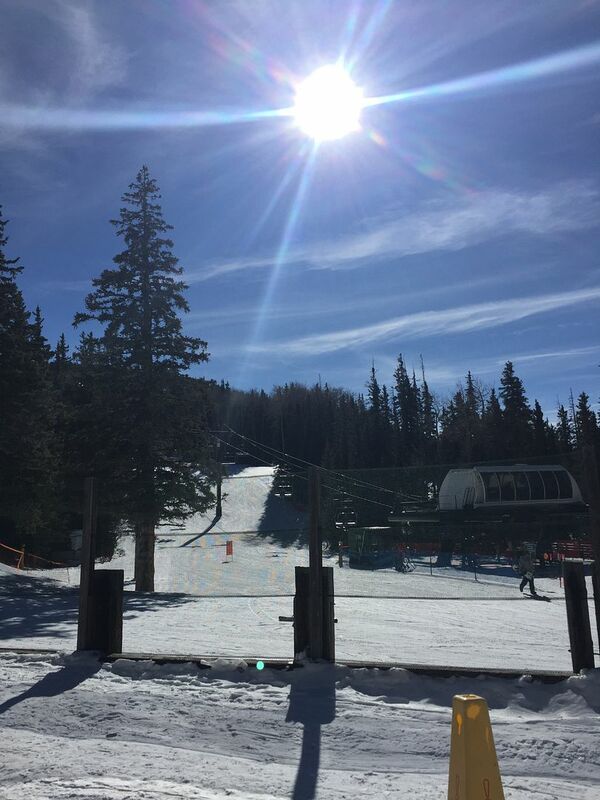 Until I saw your Insta I had no idea you could ski in NM! Add that to my list of places haha! New Mexico is so pretty, great pictures. I had no idea you could ski there. Learn something new everyday! I hope you have a wonderful week ahead, beauty, and thanks for sharing! 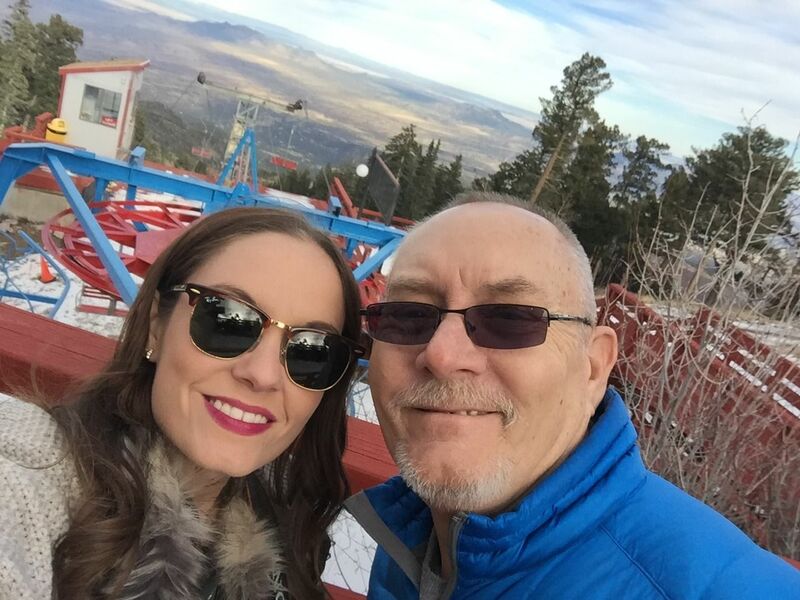 It looks gorgeous there, and how fun that you surprised your dad! Glad you had a good trip, and safe travels home! How fun! Looks beautiful there and I'm sure it was great to spend some QT with your parents. I love that you got to enjoy the snow! And your parents! 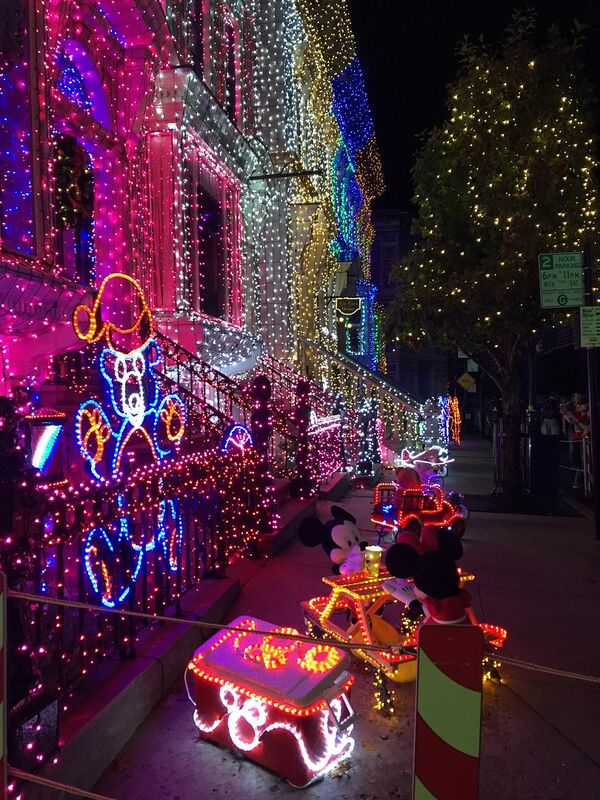 I love that your vacation started early at home - Disney looks so fabulous with all the decor this time of the year! Glad you were able to kick the food poisoning pretty quickly! Aw so glad you had an amazing time with your parents! All of the pretty landscape looks so amazing! Glad you got to see snow too! I can't believe you got food poisoning! Do you think it was from Disney?! Hate that you got food poisoning! Ugh! But it looks like you still had a wonderful weekend with your parents- what a cool surprise for your dad! I'd love to go to New Mexico; it's on my list! Looks like a fun weekend! I used to love surprising my parents when I lived out of town. I'm sure it was nice to have some qt with your family. Everything looks so awesome! 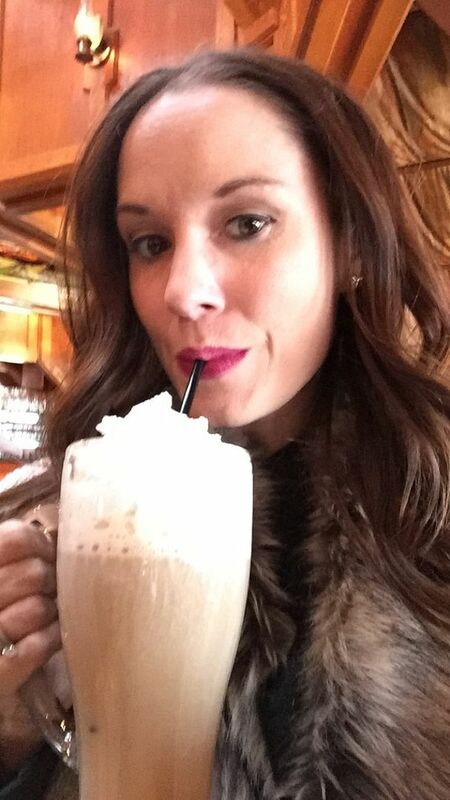 I loved following along with your snaps - you kept busy! I think that heading to Disney World was the perfect way to start the weekend since your flights didn't work out. And that's so awesome that you got to surprise your dad! I can't wait to hear more about your trip, everything looks so beautiful! What an amazing place to visit and a fabulous weekend! I bet your dad was so thrilled to have you surprise him! I also cannot believe the amount of snow in New Mexico! Clearly, I have to brush up on my geography! Stinks about the flight delays and food poisoning that's never any fun, but glad you were able to surprise your dad!! 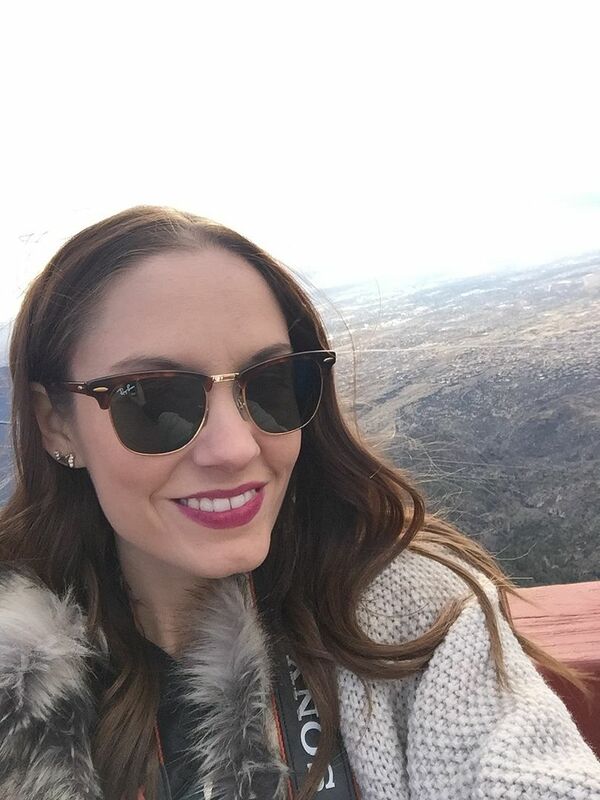 New Mexico is definitely on my places to visit, so much pretty scenery!! I had no clue it snowed there!! 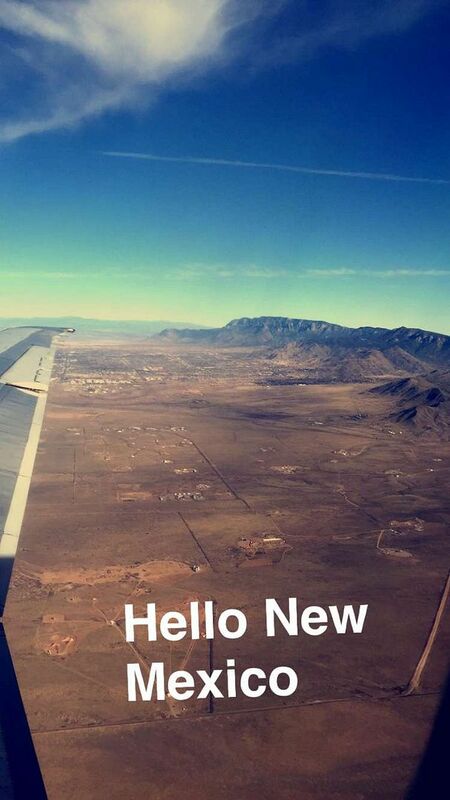 Sounds like you had such a fun trip...minus the start with the food poisoning. I absolutely love the picture of that tree! nature can be so gorgeous! oh no, food poisoning and a suitcase breaking?! that's no fun, hope you are 100% better now. love that you surprised your dad, so cool! you look absolutely gorgeous in the photos! So so pretty....love all your pictures! Food poisoning is AWFUL...I'm glad you're better now!